We hope you enjoy this month’s NetEqualizer Newsletter. Highlights include an update on the 8.5 Release, a reminder about our NetEqualizer Leasing program, a customer story about how RTR helped them identify a virus in their network, a refreshed NetEqualizer white paper, and more! 8.5 Release – Development is Complete! Our 8.5 Release development has completed, five happy stars to the development team! This month we talk about Enhanced DNS resolution reporting, and preview the Read-Only Administrative Access screens. If you would like to get your hands on the 8.5 release as a beta tester, please contact us to participate. Look for the 8.5 Release to be generally available early summer 2017. 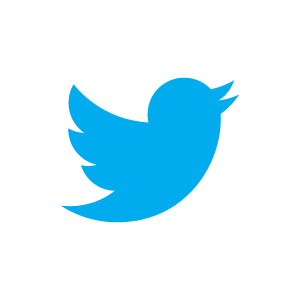 And remember we are now on Twitter. You can follow us @NetEqualizer. :: NetEqualizer Leasing always great option! 8.5 Release Development is Complete! I finally got a chance to kick the tires on our 8.5 release, and it kicked me back! I really like so much in 8.5, it is difficult to determine where to start! The biggest wow factor to hit me was our enhanced DNS reporting. For years our customers have been asking, “Can you tell me how much traffic went to YouTube or Netflix?” Well, I am thrilled to say that finally the answer is yes. With our DNS reporting you can now track all the data to any well-known public domain. The screen shot below of our Active Connections Report says it all. You can see the domains in the DST (destination) and SRC (source) columns for all live traffic flowing through the network. In addition to being able to see public domains for all active traffic, you can now also view Traffic History for any host names that you have set up to track. You can see history for a selected public domain in the screenshot below. I also love our expanded login capabilities. Many of our customers have a support Help Desk team on site. These are the first responders for network problems in your organization. Just like their counterparts in the medical field (EMTs), they may not be trained in advanced surgical techniques. For example, you would not want them making policy changes on your bandwidth controller, but you definitely need your help desk personnel to do some initial triage, gather some data, and keep the patient alive, until the doctor arrives on scene. Our NEW Read Only login will give them access to RTR and all its advanced reporting screens, without the possibility of any life-threatening policy changes to the network. You can see that this person is logged in as Read Only by looking in the top right portion of the menu bar for the RTR icon, or looking for the “report” login next to the new Logout feature. And finally, we continue to expand our Preferences capabilities, so that you can customize your experience with the NetEqualizer. “Remember one hundred and twenty eight thousand bytes per second is a Megabit.” I was getting tired of uttering this phrase and being an apologist for our units displayed on our connection tracking (Active Connections) screen. In fairness to our engineering team, the connection tracking table started out as a simple troubleshooting tool for internal use, and has now morphed into one of the more important real-time reporting screens for our customers. With 8.5 we bring you units in Megabits (or whatever unit your preference may be)! See the screenshot below. Once you select your preference, these units will be on your Active Connections Report. With our 8.5 release entering the system test phase, we will soon be looking for Beta Testers (June/July timeframe). If you are interested in participating, please contact us. NetEqualizer leasing always a great option! Check out our leasing program! Do you have a short term need for a bandwidth shaper? Perhaps a conference event, or something to tide you over while waiting for a bandwidth upgrade? Maybe your business model requires you to spread out expenses over time instead of an up front purchase? If you answered yes to one or more of these questions, now is the time to contact us about leasing a NetEqualizer. We offer leases starting at 2 months with no long term contract. The following is an email we received from Kevin Getty – Head of Information Technology for Warren-Newport Public Library. Kevin found an interesting use for our RTR interface and associated data. Having some spare time one day I decided to see what I could do with the data that’s provided by the four week traffic history report. First I downloaded the data and imported it into a spreadsheet to see what was available and formatted it into a more user friendly display. Once formatted I grouped the data by IP address and started to analyze the upload throughputs by user per day. I quickly realized what “normal” activity was looking like for our network PC’s. Once the IP’s were resolved to DNS names, I was surprised to see such high bandwidth from a specific PC. Bandwidth that was large and during closed office hours spreading across multiple days. I approached the user to see if they had any experience with slow or intermittent internet access and sure enough they did. Their experience of slowness was the NetEQ doing it’s wonderful job of penalizing them and normally it should, but the user experienced slowness due to a bug on the computer. They also stated they left their PC on overnight because they didn’t want to lose what they had been working on, so this explained why the traffic showed during closed hours. When asked if they knew when they started to experience slowness, their answer matched what the data showed in the four week report. The next step was to investigate to see if the PC had any bugs or malware that hadn’t been caught yet. Using several antivirus and malware removal utilities that are known to be successful at finding the little buggers, all came up empty. So the next thing was to restore the user’s Windows profile from backup prior to the high traffic use. After restoring the profile and monitoring for a day, the reports showed normal traffic. Since then I’ve written a windows application that will download the reports and analyze the traffic. Granted, not all high usage is necessarily bad traffic, but the uploading was what caught my eye and is analyzed in the application to signal an alarm. The first screenshot shows the overall bandwidth usage of the report. The second shows the selected PC that was showing high usage. You’ll notice the consistent upload and download across several days. I do have suggestions for your reports. Selectable date ranges and resolved DNS names would be nice. I’ve been using NetEQ for over a decade now and I’m not sure what I’d do without it. Thanks for a great product and keep up the great work! Our Executive White Paper has been updated to highlight a key capability of the NetEqualizer – that we are able to shape both encrypted and unencrypted traffic. This is an important advantage of behavior-based shaping. Application traffic shapers are only able to shape unencrypted traffic, as they need to classify it to work with it. We have also updated the Comparison Table on Page 2 to better highlight how the NetEqualizer compares to Other Traffic Shapers. The Executive White Paper is a good summary for management to read to get a quick feel of the NetEqualizer’s core capabilities, and also to understand how it differs from traditional application shapers. Note: Believe it or not in a previous life, before I settled on computer science, I was a math major. Not much stuck from those days but I did remember one lesson very well, and that was that there are a plethora of ways to implement a mathematic encryption of data. In the following blog article I share with you an easy to use a program for personal encryption. Below is a little routine I wrote to encrypt and decrypt a file. This script is meant for encrypting text files and sending them privately through e-mail as an attachment. Note: The author makes no claims about whether this encryption technique can be broken. It would not be easy. Here is what you need to use this program. One of our staff members was visiting western Kansas recently, and decided to take a bike tour. This house is one of many that remain from the Dust Bowl days, when many farmers abandoned their homes due to the prolonged severe drought. These homes dot the land, much of which was given away by the Homestead Acts. 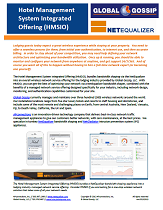 Enjoy another issue of NetEqualizer News! This month, we preview our upcoming integration of our Microsoft Excel Dynamic Real-Time Reporting Tool into NetEqualizer, discuss our new Hotel Management System Integration Offering, and feature a story from a happy NetEqualizer Customer. As always, feel free to pass this along to others who might be interested in NetEqualizer News. In May, my thoughts turn to the BolderBoulder, a large 10K running race that I compete in each year. The race has 50,000+ participants, and is split into two, a “people’s race” and a “professionals race” (International Team Challenge). I compete first and then watch the professionals race, which is usually won by someone from Ethiopia or Kenya, as professionals fly in from all over the world for this race. By May my goal is always to train hard, so that I am at my peak performance on Memorial Day for the run. I work hard to get ready, and plan to run a personal best this year! We love it when we hear back from you – so if you have a story you would like to share with us of how we have helped you, let us know. Email me directly at art@apconnections.net. I would love to hear from you! APconnections is excited to announce our Hotel Management System Integrated Offering (HMSIO). We have partnered with Global Gossip, LLC, a leader in the lodging managed network services industry, to offer an end-to-end network managed services solution for our hotel & lodging customers. We are combining strengths to offer NetEqualizer, the best in bandwidth shaping, with Global Gossip’s world class managed network services offering. We now can offer our hotel and lodging customers a full suite of capabilities to manage your wireless network, such as authentication, 24/7/365 support, cloud-based monitoring access, and network design services. Every so often, NetEqualizer News features a customer who has benefited greatly from our technology and has told us about it! One of our web servers got hit with a ‘zero-day’ malware. We noticed our bandwidth was completely pegged even though our student population was on, or leaving for Spring-Break (so our bandwidth consumption should have been trending downwards, not upwards). We maintain over 100 servers, 95% of which are in a VM environment. Needless to say, finding the exposed culprit would be like finding the proverbial “needle in a haystack”.Alas, NetEQ to the rescue. We used NTOP to discover our ‘Top Talkers’. The Inbound bandwidth was saturated, which was unusual and we pinpointed it to one machine. We quickly wrote a bandwidth rule for that web-server and things returned to normal. We found the malware and inoculated the server…all within an hour’s time. Normally, this could have taken hours or a few days. One of our most popular unpublished tools that we release to customers who request it is our Dynamic Real-Time Reporting tool which sends data from your NetEqualizer to Excel so that you can monitor usage from your local PC. The next generation of this software has arrived. Coming soon, we will be releasing our built in version of this tool so that you can get the same benefits of its reporting features right on your NetEqualizer. It will require no setup and will be completely web based. You’ll be able to view active connections, connections which are bandwidth hogs, IP to country translation, and more! This tool is free to customers with valid NetEqualizer Software and Support. If you are not current with NSS, contact us today! I suspect somebody out there has already thought of this, but in my quick Internet search I could not find any references to this specific idea, so I am taking journalistic first claim and unofficial first rights to this idea. The best example I think of to exemplify efficiency in video, are the old style cartoons, such as the parody of South Park. If you ever watch South Park animation, the production quality is done deliberately cheesy – very few moving parts with fixed backgrounds. In the South Park case, the intention was obviously not to save production costs. The cheap animation is part of the comedy. That was not always the case, the evolution of this sort of stop animation cartoon was from the early days before computer animation took over the work of human artists working frame by frame. The fewer moving parts in a scene, the less work for the animator. They could re-use existing drawings of a figure and just change the orientation of the mouth in perhaps three positions to animate talking. Modern video compression tries to take advantage of some of the inherit static data from image to image , such that, each new frame is transmitted with less information. At best, this is a hit or miss proposition. There are likely many frivolous moving parts in a back ground that perhaps on the small screen of hand held device are not necessary. My prediction is we will soon see a collaboration between production of video and Internet transport providers that allows for the average small device video production to have a much smaller footprint in transit. 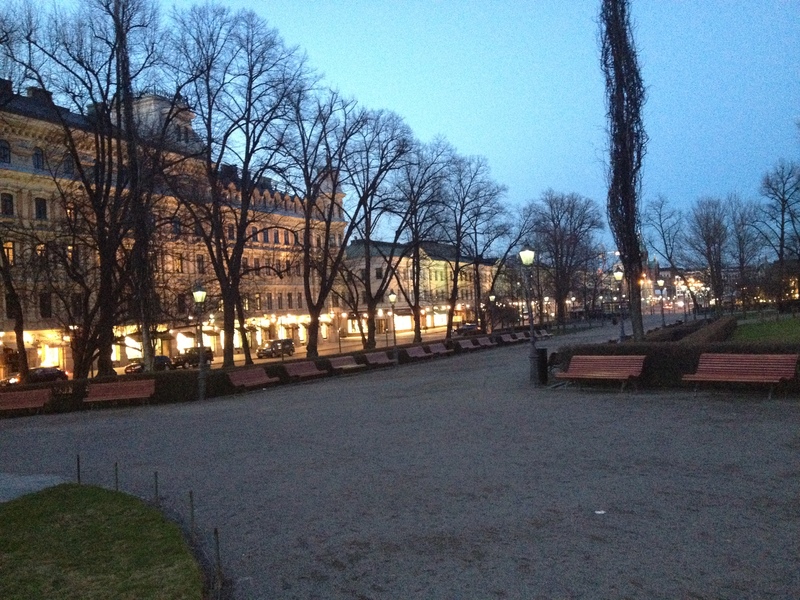 This picture of downtown Helsinki, Finland was taken on a recent visit to a customer site by one of our staff members. Handley Library Case Study: A post from the trenches…. Editor’s Note: We would like to thank our guest contributor, Sara Holloway of Handley Regional Library, for contributing this post about her experience with the NetEqualizer. Thanks Sara! Greetings! I am a librarian from a medium-sized library system in the Shenandoah Valley of Virginia who has stumbled into the world of NetEqualizer. During my 19 year tenure here at Handley Regional Library, our computer landscape has changed radically. When I came on board in 1993, the library boasted XT computers that booted to our Novell network via a 5.25″ floppy disk. Our monitors were 13″ amber screens that glowed with the pre-GUI interface of DataTrek, our integrated library system (ILS). The only “real” computer was in the director’s office – a Compaq AT box with a VGA monitor, running Windows 3.0. We had no computers for the public to use, but did provide a typewriter for those who needed to create a document. Since then, we have made many changes in our IT infrastructure and in the computing services we provide. We are not a cutting-edge technology library, like many I read about in the library literature, but we do a good job with what resources we have. Handley Regional Library now has three branches, serving two counties (Frederick and Clarke) and the city of Winchester. We have 120 computers serving staff and the public. I am proud to be one of the “farmers” that helped this garden grow. In 2010, our telecommunications began to show the strain of over 100 computers on the WAN and trying to use the Internet simultaneously. We changed telecomm providers and were able to eke out a little more bandwidth within the tight budget constraints we faced. Still, staff and patrons alike complained about the computers being slow. Everything came to a head in late July 2011, when our telecomm circuits were suddenly maxed out and our ILS system (Library.Solution provided by TLC) ran at a snail’s pace. Of course, I was on vacation at the time! The day I returned from vacation, I received a call from a colleague. “We have a real problem! When will you be back?” I immediately discovered, upon my return to work, she was correct. There was a real problem; I just didn’t know how to fix it….at first. Fortunately for us, the Library of Virginia (with money from the Gates Foundation) had contracted a consultant to assist several libraries in the state suffering from inadequate bandwidth problems. The consultant had visited our library system in July 2011, just before my vacation. In his report, he strongly suggested if we could not afford to increase our bandwidth, that instead we implement a bandwidth equalizing tool, specifically recommending NetEqualizer by name. After careful consideration, I decided to spend my entire IT budget to purchase a NetEqualizer. We installed the NetEqualizer in late August 2011 at our branch which hosts our data, web and email servers. It was very easy to configure and install. Almost immediately, staff at all three branches noticed an increase of speed in our Circulation and Cataloging programs. I tweaked the NetEqualizer configuration to prevent bandwidth hogs and to allow some breathing room in the network so our ILS processes could access our servers more easily. I am still learning how to interpret all the data provided by ntop, but what I do understand has helped me to stop some unwanted network traffic, which has further increased the available bandwidth. Of all the purchases I have made for IT in my 19 years here at Handley Regional, the NetEqualizer was perhaps my best decision ever. I am thankful to the consultant who did some research to find this product and recommend it. While it doesn’t solve our fundamental problem of inadequate bandwidth, it has been a lifesaver in keeping essential ILS functions operating. Thanks, NetEqualizer! What our French Speaking Customers are saying. Nous sommes un fournisseur Internet sans-fil de la rive-sud de Montréal au Canada. Plusieurs communautés étaient totalement dépourvues de service haute-vitesse avant le lancement de notre projet Internet en région rurale. Le service connu tellement de succès que les demandes pour un service de téléphonie IP se multiplièrent. Nous avons dû faire des analyses pour évaluer la qualité de la voix sur notre réseau. La qualité sonore se dégradait très fortement en heure de pointe car des utilisateurs de P2P monopolisaient la majeure partie de notre bande passante. Ceci rendait pratiquement impossible l’utilisation du service de téléphonie IP durant ces heures. Nous avons donc cherché une solution à ce problème afin de limiter le P2P et de prioriser la voix. Nous avons enfin trouvé la solution de NETEQUALIZER sur google. En premier lieu, nous pensions à installer la version gratuite, Bandwidth Arbitrator, sur une machine existante. Nous sommes finalement arrivé à la conclusion que la machine vendue et supportée par NETEQUALIZER serait une option plus avantageuse. En achetant le NE2000, nous évitions les frais d’intégration par un techniciens Linux et avions confiance de ne pas rencontrer de problème de pilotes et de compatibilité lors de l’installation et des mises à jours subséquentes. Dès que nous avons branché l’appareil tout a …naturellement…fonctionné. La machine fonctionne de façon totalement transparente. Hormis les bienfaits, les clients ne s’aperçoivent de rien. Nous avons maintenant près de 2000 clients, une centaine de lignes IP et la progression continue. Nous devons cette qualité de service en partie à NETEQUALIZER. Nous tenons à remercier toute l’équipe de NETEQUALIZER, en particulier Art Reisman, pour l’excellent service après-vente. Toutes nos questions furent répondues instantanément et habillement.